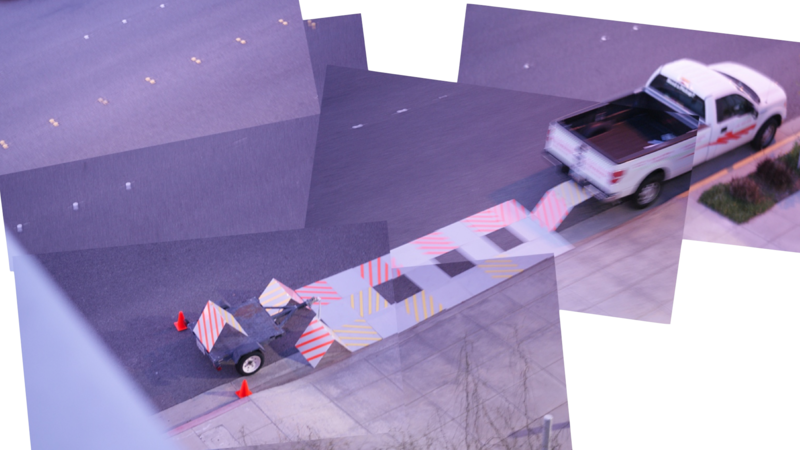 According to current Los Angeles Municipal Codes, any registered hitched trailer is allowed to park on the street along is shown to be attached to a registered motor vehicle with the State of California. 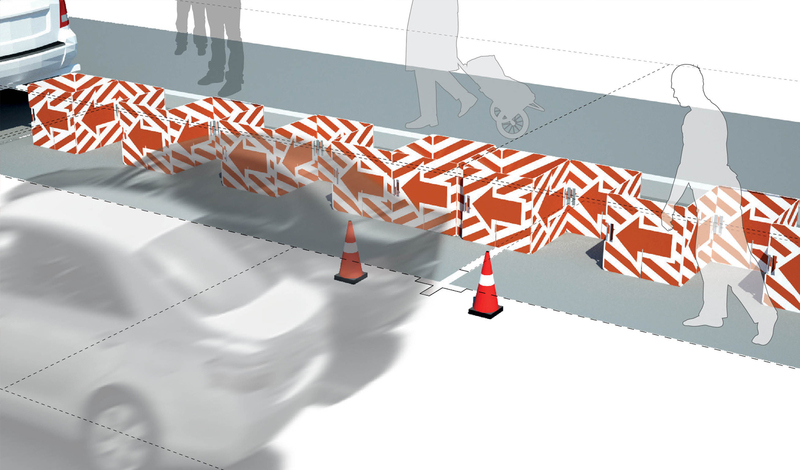 Our three-part system reveals a new public utility through streetscape. 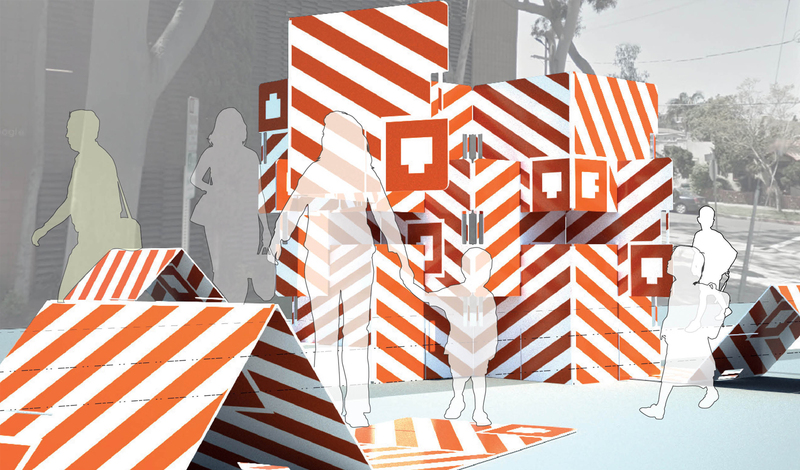 Our purpose is to facilitate temporal sites for speech — whether they be places for occupation, small parks for children, or visually block a building, corporate logo, or a specific advertisement. 1. 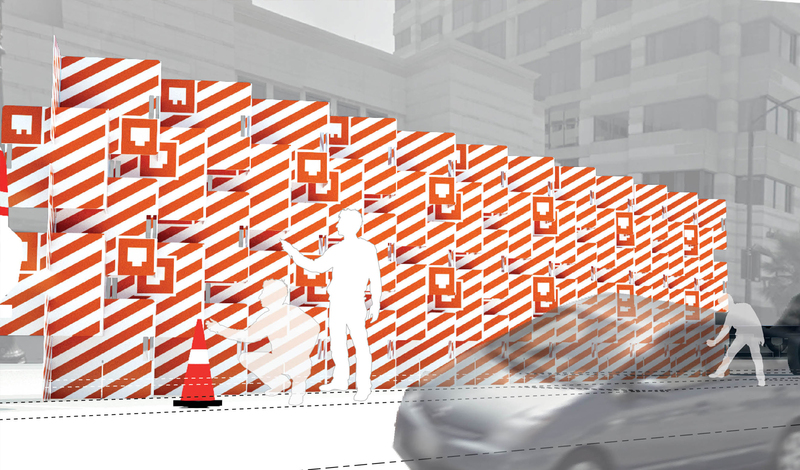 Visual Blockade is a physical screen to block a building’s visibility from the street or a specific form of advertisement that is along the streetscape. 2. Shelter for Occupation can be for a variety of uses. 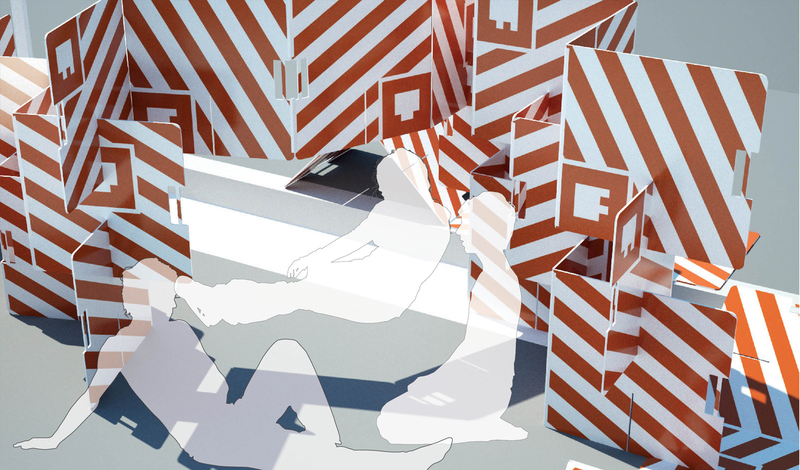 It can house a small demonstration or be a small pop up park for a neighborhood that is devoid of public space for leisure and play. 3. 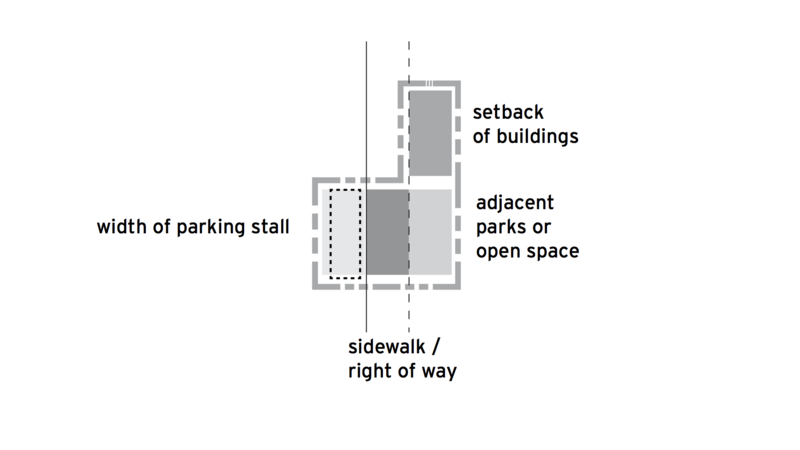 Alternate Wayfinding is a mode that redirects pedestrian or street traffic with iconography. This is one of the specific modes that re-negotiates how the right of way is used and defined. 4. Virtual ‘White-Out’ triggers through QR Code white-out of a building or the phantom appearance of a proposed improvement. 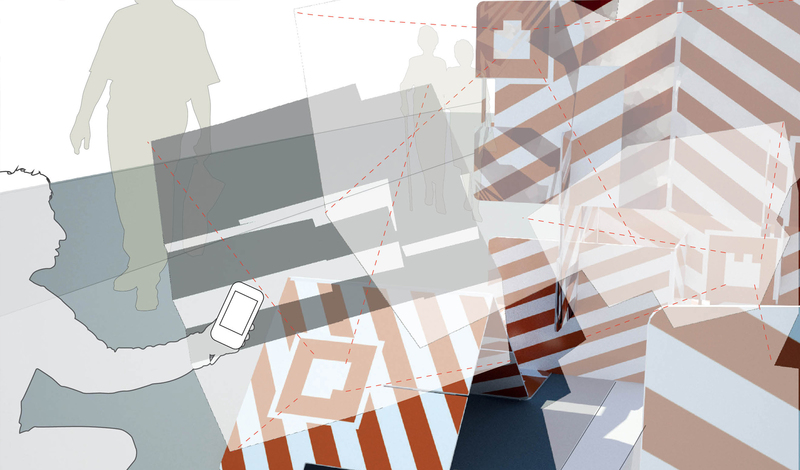 By using our smartphone app (coming soon by end of Summer 2012), the panel system has a digital layer that extends a message beyond its physical structure. We are currently working on the prototype here. 5. 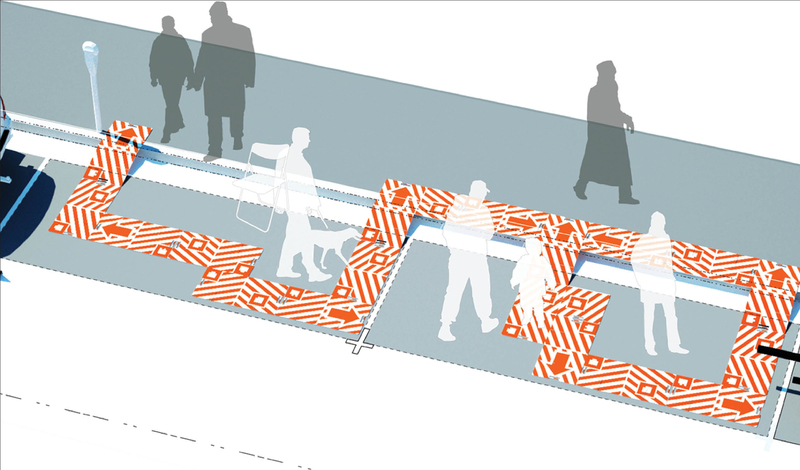 Activator Mode is where the system creates a spectacle through the structure for people to gather. We recommend to use this mode when creating a meeting point. We can work with you to see which of the following scenarios would fit your specific needs. Contact us today! Enter your email address to follow Soft Publics and receive notifications of new posts by email.